Here is a quick idea for freezing pesto that I do. 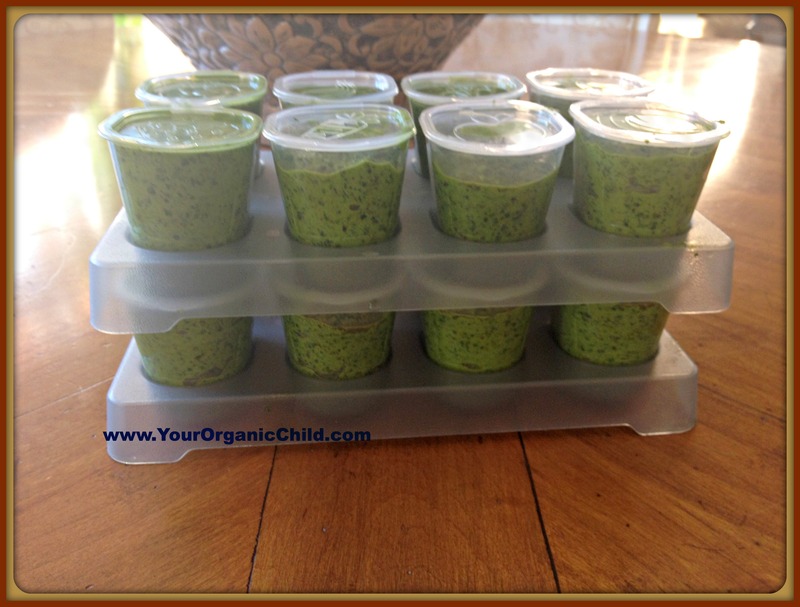 Today I made a large amount of pesto( see my recipe) and I use baby food containers that I bought to freeze it in smaller portions. I use it all winter for different recipes from asparagus, green beans, making fresh spaghetti sauce, potatoes, fish, chicken, pretty much anything. To liven the taste of any vegetable just add pesto to it. If you add it to asparagus it’s guaranteed to be eaten. The picture shows how I freeze it and when using it you just need one portion. Freezing in smaller portions saves it from being wasted. Using the baby food portions makes it easy too. The containers below are BPA free also.